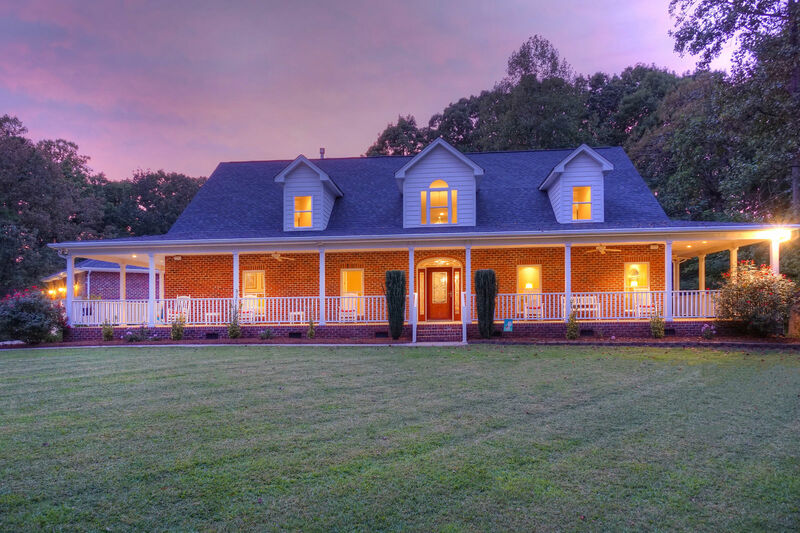 Elegance and Privacy abounds in this gorgeous all brick Custom Built Home on over 20 acres with room for a pool! Relax and enjoy the huge wrap around front porch that welcomes you home everyday. The great room boasts soaring ceilings with an open floor plan that opens into the kitchen. The gourmet kitchen is a cooks dream with large island, stainless steel appliances, and granite with tile back splash. The Master Suite offers a spacious living area with his & hers walk-in closets and the Master Bath comes with a walk-in double shower and separate vanities. This custom home even offers its own private pet room. Attached side load 3 car garage. Your Private Haven awaits just moments outside of everything you need including shopping plus quick access to I-40, Hickory & Lake Norman.